A summer sport with a rich tradition at Newington. 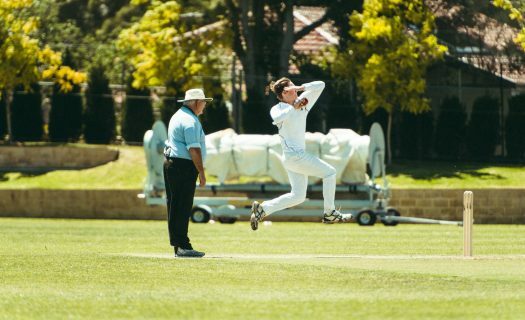 A foundation sport at Newington, cricket aims to create an environment which engages boys in a game that is contemporary yet seeks to uphold traditional values. Boys of all ages & skill levels are invited to learn how to play cricket in its various formats. In the Spring and Summer terms training is conducted twice per week with interschool matches on Saturdays. 3 natural turf nets plus access to S&C amenities as part of the Taylor Sports Centre. Regular [in-season] competition involves fixtures against other GPS and independent school on Saturdays. Cricket also provides opportunities to tour domestically &/or internationally.